Just aesthetics or a reliability and power output issue? SunPower’s “Solar Elegance” is not covered by the Limited Warranty. Hot cells, EVA material variation, backsheet delamination, or PID as possible root causes? One day in late 2012, I decided to revisit the Palo Alto Municipal Service Center (MSC) to trial a wide-angle zoom camera lens. I remembered having difficulty capturing all seven (7) of the photovoltaic (PV) trackers in a single photo for the Palo Alto Photovoltaic Showcase Project neglected – Part 2 post with the grey cell color anomaly. I had last been to the MSC in March 2011 to snap a few photos of the Tracker #2 failure that was repaired less than a week after I contacted the City of Palo Alto Utilities (CPAU). At that time, I did not notice anything else amiss at the installation. The self-assigned tracker numbering scheme is documented in the Google Map. During the lens trial, I first noticed the prominent cell discoloration (orange?) shown at the top on Tracker #6. As a refresher, each tracker has an array of twelve (12) SunPower Corporation (NASDAQ:SPWR) Model SPR-205-BLK-U photovoltaic modules except for the one replaced grey cell module that is Model SPR-210-BLK-U. However, the string length was reduced from twelve (12) to eleven (11) modules to allow for worst case cold and sunny day weather conditions, and the twelfth module was left unconnected, a victim of symmetry aesthetics. After the discovery, I consulted with experts and reviewed select National Renewable Energy Laboratory (NREL) Photovoltaic Module Reliability Workshop presentations (2010, 2011, and 2012). In particular, “Degradation Mechanisms in Si Module Technologies Observed in the Field; Their Analysis and Statistics” by David DeGraaff, Ryan Lacerda, and Zach Campeau from SunPower, winner of the Best in Workshop Award, provided a framework with a Pareto of Field Failures in five groupings. The presentation analyzed field data from 21 manufacturers and is sprinkled with SunPower specific data and field experience. On subsequent visits, I took more photos of each tracker and module with the cell discoloration anomaly along with the respective backsheet, rating label, and serial number. I also noted the module position and attempted to ascertain the string location by eyeballing the connections behind the modules. Or course, I could not touch anything or climb up to trace the connections with complete certainty. I’ll summarize the findings of my site survey followed by a Picasa slideshow of the described photo sequence for Tracker #1 through Tracker #7. A single module on six (6) of the trackers appear to have from 1 to 4 cells with light or dark discoloration. The discoloration does not extend to the edges of the cell. In each case, the module appears to be the closest to positive ground, a requirement of circa 2008 SunPower module/cell technology because of the surface polarization effect. At first, I thought the module was the most negative, but I assumed the wrong junction box polarity convention. Thus far, the discolored cells are only observed in the bottom three (3) rows of twelve (12) cells relative to the junction box located on the back left of the module when viewed from the front side. Going through the above Pareto of Field Failures, I have not been able to observe any glaring issues with the laminate internal circuit (SunPower back contact solar cells have a unique interconnect), glass, junction box and cables, or backsheet. There is also no evidence of burned backsheets or cracked glass to indicate hot cells. Light grey edge or full cell color degradation is observed on many of the modules at the MSC installation. b) Cosmetic affects stemming from normal wear and tear of PV Module materials or other cosmetic variations which do not cause power output lower than what is guaranteed by the Limited Warranty. Normal wear and tear of PV Module materials can include, but is not limited to, fading of frame color, weathering of glass coatings, and areas of discoloration around or over individual solar cells or any part of the PV Module. 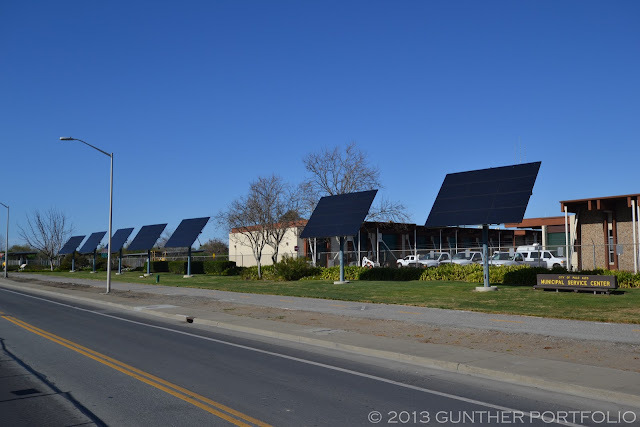 My impression is SunPower considers modules with cosmetic variations to be good so long as their corresponding power output meets the limited power warranty terms. In effect, the warranty does not cover SunPower branding of “Solar Elegance” and the benefits of the “sleek, black appearance”. Buyer beware when purchasing SunPower PV modules for aesthetic motivations! The SunPower Limited Warranty for photovoltaic modules sold after July 1, 2012, is identical in the cosmetic section. 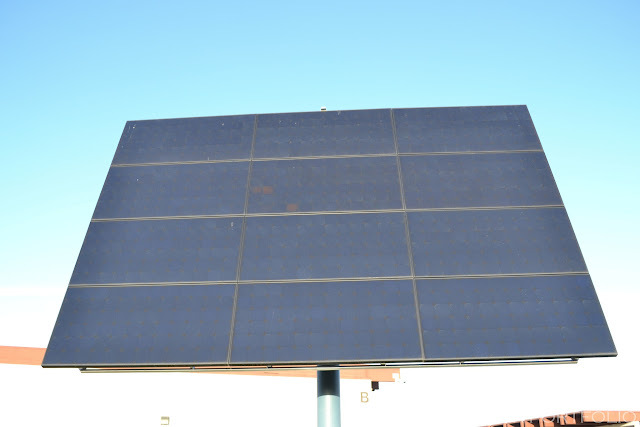 The CPAU began monitoring three PV project sites including the MSC trackers in Spring 2009. Annual performance reports (http://paloaltosolar.info/reports.html) are posted in three formats: Cumulative Monthly kWh (kilowatt-hour) Production, Cumulative Monthly kWh/kW Production, and Annual Hourly Data! While there is no obvious drop off in production, I wonder if there was underperformance in December 2012 since the MSC Trackers have tended to outperform in low solar insolation conditions. The month was quite rainy in the Bay Area, and I did not crunch the numbers so my observation is very subjective. SunPower cells have advantageous breakdown behavior at -5.5 volts (V) that is reversible and uniform, thereby eliminating the need for bypass diodes to protect the cells. While bypass diodes are not required for cell protection, diodes are included in modules to increase energy delivery under certain partial shading conditions and to provide comfort to customers who are used to diodes being present. A reversed biased SunPower cell might not lead to a module failure but that cell will not contribute to power output. However, the power loss may not be noticeable in the monitoring data. I’ve thought about this since first finding the orange cells. First, let’s remember a few details about the MSC Tracker installation. There is nasty, obvious shading at the site from nearby trees and two streetlights in front of the trackers. Please see the above wide-angle photo of the seven trackers I finally captured for reference. I don’t rule out site shading as a factor contributing to the cell discoloration. Otherwise, working through the Pareto of Field Failures, my site survey leads to groupings four and five, cells or encapsulant and backsheet respectively. If the cells with color degradation are reverse biased, might these be hot cells without being so hot as to burn the backsheet or crack the glass but discolor the EVA (ethylene vinyl acetate) instead? As an alternative, has EVA material variation or unseen backsheet delamination caused the discoloration? In the first half of 2008, PV manufacturing companies were struggling to make every module possible for a PV market in undersupply during the Spanish Feed-in Tariff boom times. Was there any pressure to qualify new materials to meet delivery commitments if preferred suppliers were sold out or quoted long lead times? I wondered a lot about PID (Potential Induced Degradation) as a possible root cause. The cell discoloration would have to be caused by a non-reversible form of PID, and the site climate does not match the worst case conditions of high temperature and high humidity. The Bay Area is not very humid, and Palo Alto has on average 15-16 inches (381-406 millimeters) of annual rainfall almost all in the winter months. If I got the polarity right, the module position closest to positive ground does lend support to a PID theory in the case of the SunPower modules used at the MSC. While the PID explanation appears more exotic, might there be an issue with the installation grounding at the MSC contributing to PID? I plan to bring the new cell discoloration anomaly to the attention of the CPAU after posting this blog. If the modules are replaced and returned to SunPower for Failure Analysis, the root cause of the cell discoloration issue may never be made public. SunPower might share the results and any resulting corrective actions with the installer, SPG Solar, Inc., and the end customer, CPAU. SunPower never shared the analysis results of the grey cell module with me, but that’s standard practice in a number of industries and not unique to SunPower or PV solar. SunPower may have inherited the practice from former semiconductor parent, Cypress Semiconductor Corporation (NASDAQ:CY). I could have gathered this information faster and in a more methodical fashion if I had been aware of the Visual Inspection Checklist described in the NREL Technical Report, “Development of a Visual Inspection Data Collection Tool for Evaluation of Fielded PV Module Condition” by Corinne E. Packard, John H. Wohlgemuth, and Sarah R. Kurtz. 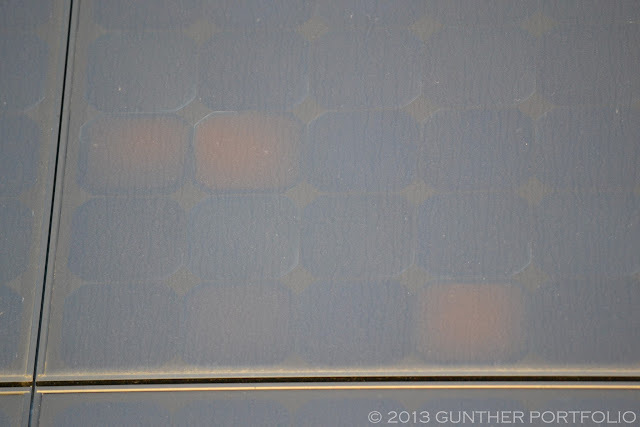 Has Sunpower solar panels installed 6 months ago, noticed discoloration in some of the cells. 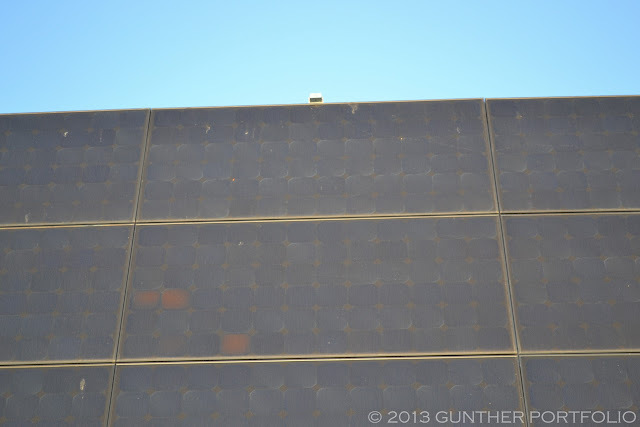 Was there ever a response from Sunpower on whether this was just cosmetic, or affecting the output? I read both of these posts pretty quickly, looking for the conclusion but must have missed it. Were these discolorations simply cosmetic and not affecting performance or was there indeed some type of issue that impeded output? Were they hotspots?